16 years after adopting the Refugee Law, the Republic of Cyprus has not yet found an effective way to apply and enforce its own legislation despite the fact that applications for asylum have dropped dramatically in the past few years as a result of the restrictive asylum policies followed by the authorities. The lack of political goodwill on behalf of the state regarding effective enforcement of the law, in combination with the absence of coordination between the state agencies involved, lead asylum seekers to desperation and render the officers of the competent authorities obsolete. Based on the aforementioned legislation, when an individual wishes to apply for international protection, the state is required to provide immediate access to asylum seeking procedures and to material reception conditions (medical treatment, housing, food, clothing and an allowance for personal expenses) for the purpose of decent living. Access to asylum seeking procedures: One of the most significant issues of the asylum seeking procedure is the non-existence of the possibility of applying for international protection on a daily and 24-hour basis. In practical terms, this means that refugees arriving in the country at night or during weekends, often fatigued and despondent from their journey as well as the reasons that drove them to flee their country, are forced to reside in parks and public spaces, until they can contact the authorities on specific days and at specific times of the week (Monday, Wednesday and Friday from 9 a.m. to 1 p.m.) to submit their application for international protection. Informational material: The informational material given to asylum seekers is incomplete and unclear as it mostly involves description of the law instead of providing useful, guiding and practical information (where, when, how). Furthermore, there are often issues with its availability and it is it is not always available in the language of communication of the applicants. Referral to Kofinou: After the submission of asylum seeker applications, the authorities examine the referral of applicants in order of priority for residence at the Asylum Seekers Reception Centre in Kofinou. When asylum seekers are informed that they they have to relocate to Kofinou, they discover that no state provision has been made to facilitate their transport to the Centre. It must be noted that there is only direct transport to the Centre of Kofinou from Larnaka. Aside from this, they are also not provided with the necessary information regarding the means they can use to get to their destination (maps, public transport routes, etc). Access to material reception conditions: In case the applicants are not referred to the Centre in Kofinou (due to full occupancy or other restrictions), the state agencies have the obligation of securing the above material reception conditions through the Social Welfare Services (SWS). In these situations, there is a marked absence of an effective and practical mechanism that would allow them immediate access to material reception conditions – including access to basic necessities, like food and shelter. For the provision of the material reception conditions as foreseen in the legislation, asylum seekers are required to submit a special application to the SWS. 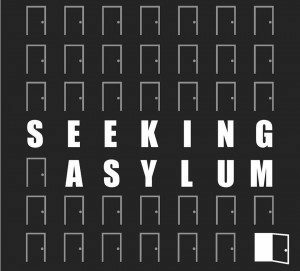 In this case, the asylum seekers find themselves “trapped” in a maze of bureaucracy involving various agencies that sometimes follow their own conflicting regulations. For example, the asylum seekers who are newcomers in the country, are required – among other things – to turn up at the public hospitals for the necessary medical exams to be conducted. However, they are given no information regarding which hospital they can visit for the exams, the times they can be accommodated (07:30 – 09:30), how they can get to the hospital, or that in order to carry out these necessary exams, they will be asked to present documentation that they do not have. At the same time, for the SWS to accept the application for material reception conditions, they require an Alien Identity Card, which isn’t issued by the Aliens and Immigration Service before presentation of the results of these medical exams. On their part, the Health Services require more than two weeks to issue the results of the exams. After the submission of the application for material reception conditions, the applicants continue to be faced with important survival problems as, while waiting for the completion of the submission and inspection procedure (around one month), the applicants have no resources for or real access to food and housing. With regards to rent, the SWS require asylum seekers to present a stamped lease agreement for their rent to be paid, overlooking the fact that applicants do not have the resources to prepay a guarantee and monthly rents for two and three months before they actually get reception conditions by the SWS. Squandering public funds: The authorities’ ineffectiveness for the direct provision of material reception conditions, aside from having consequences for the asylum seekers themselves, also leads to ineffectiveness and exhaustion of officers, as well as squandering of public funds. To resolve the housing problem created due to all the above procedures, the authorities, if under pressure, refer asylum seekers to hotels. However, the state has not sought to arrange agreements with the hotels in advance and after an invitation for tenders, resulting in unnecessarily high bills for low quality services, which taxpayers are called upon to bear the brunt of. It is worth mentioning that the cost of staying in a hotel for one day with board (approximately €100/night per person) is equivalent to the amount provided by law as a monthly rent allowance for one or two persons (also €100). The reason that the SWS resort to services of hotels with such overcharges is that they refuse to pay in advance the rent allowance to the applicant. Provision of material reception conditions in the form of coupons: The provision of material reception conditions, especially regarding clothing, footwear and food, is provided to the asylum seekers in the form of coupons. However, these particular coupons are only valid for particular shops where most times the available items are much more expensive than most supermarkets, so the market value of the coupons does not correspond to their nominal value. Furthermore, the stores in question are located quite far from the place of residence of the asylum seekers and as such, further problems and hassle are created in trying to get to them. At the same time, the fact that there is an upper limit to the value of the coupons given to asylum seekers creates problems, particularly for families with many members since they can not secure decent living conditions, or even fulfill the basic human needs for food, clothing, and housing. The Asylum Service, the Social Welfare Services, the Immigration Office of the Police, as well as the Ministry of Health, to take the necessary actions in order to align their practices with the Refugee Law. For the arrangement of a meeting of all the above authorities and agencies that are responsible for the reception conditions of asylum seekers, along with the NGOs that also handle these issues, in order to coordinate and find an effective reception system that will allow the actions of involved services and agencies to complement each other rather than cancel each other out.